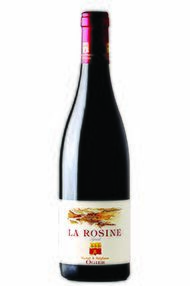 The Wine Advocate - The 2010 Syrah La Rosine Vin de Pays (again 100% Syrah) is a beauty. Lots of exotic Asian spices intermixed with spicy cassis aromas jump from the glass of this medium to full-bodied, rich, fleshy, attractive Syrah. Better than many more expensive Cote Roties made by other producers, it is a testament to the brilliance of Stephane Ogier and his meticulous viticulture and winemaking. Jancis - His only bottled red. From the same parcel as the Viognier. Meaty and concentrated without being anything other than sleek and bone dry. 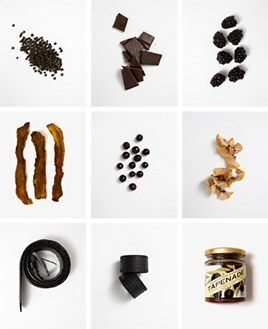 Extremely savoury but not skinny. 28,000 bottles made. Neat finish. Very good value. Parker - The 2010 Syrah La Rosine VDP, which comes from decomposed granitic soils, exhibits lots of earthy berry fruit as well as black currant, licorice, forest floor and gamey notes. This delicious, medium-bodied 2010 is meant to be consumed in its first decade of life. Ogier's wines just keep getting better and better, so if you haven't yet jumped on the Ogier bandwagon, it's time to do so. 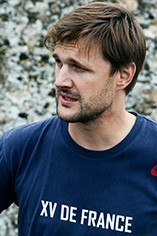 Michel Ogier, and more recently his son, Stephane, are the leading craftsmen in terms of wines from the steep hillsides north of the old Roman town of Vienne. These are still entitled to only a VDP designation, but current vintages are the finest he has yet produced. Vin de Pays des Comtés Rhodaniens is a Vin de Pays French wine appellation that encompasses vineyard area in the Rhône-Alpes region and wines	from mainly Viognier, Syrah and Grenache grapes	but also from Pinot Noir and Gamay as the appellations spans further to include portions of Beaujolais, Savoie and Jura.